British Prime Minister Theresa May speaks at a news conference at the conclusion of the EU summit in Brussels. The European Union has agreed to delay the United Kingdom’s departure from the EU, known as Brexit, until Oct. 31. The deal, announced early Thursday in Brussels, averts a potential crisis as British leaders had failed to agree on their own plan for pulling out of the multi-state trade arrangement by Friday. 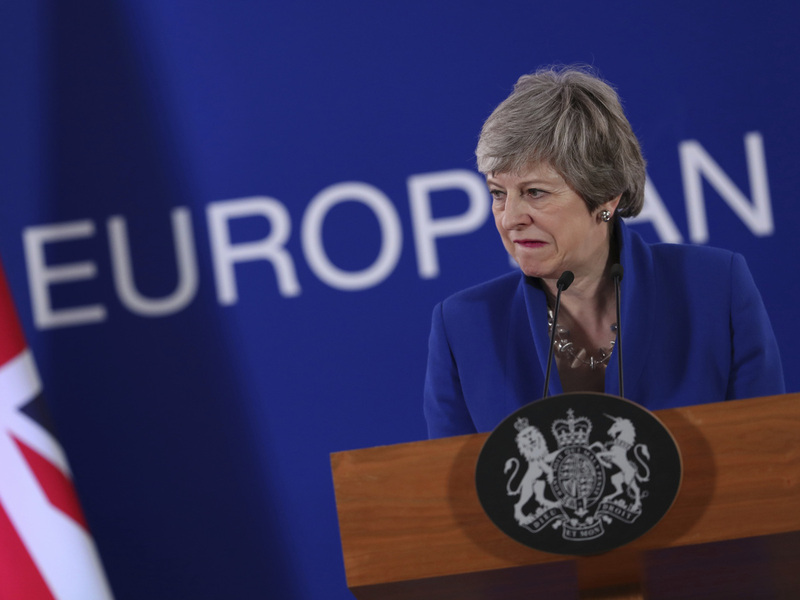 British Prime Minister Theresa May again called on Parliament to approve her Brexit deal. French President Emmanuel Macron called the six-month extension “the best possible compromise” with other EU leaders who were prepared to give the U.K. a year to work out its Brexit plan. Macron favored a shorter deadline fearing potential negative effects of the U.K. staying in the bloc before its exit. Elections for the European Parliament are scheduled for next month. Macron said the British have to decide whether to participate in the elections with an eye toward soon leaving the EU. “Please do not waste this time,” said European Council President Donald Tusk, advising the U.K. to finally decide on the details of its planned departure from the EU. Few observers missed that the Oct. 31 deadline coincides with Halloween. Langfitt said the real reason for the late October deadline is that the European Commission, the group that proposes legislation within the EU, will be seated on Nov. 1.